Build new Access cloud web apps and migrate desktop databases to the cloud. This is your complete, practical guide to creating WeiRuan-->WeiRuan Access web apps and migrating existing databases to the cloud. Access MVP Andrew Couch guides you through the entire web app life cycle, from design through deployment and upgrades. After introducing WeiRuan-->WeiRuan Office 365 and the web app development environment, he reviews key issues associated with moving data into a web app or creating cloud apps with new data. Next, he drills down into app construction, from table design to integration. You'll learn how to extend Access with WeiRuan-->WeiRuan Azure SQL, PowerPivot, Visual Studio 2013, SQL Server Reporting Services (SSRS), and Apps for Office, and master important new enhancements in Office 365 SP1. 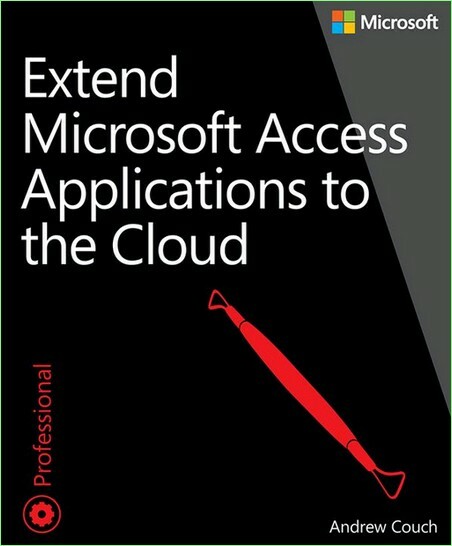 Extend Microsoft Access Applications to the Cloud Fast Download via Rapidshare Hotfile Fileserve Filesonic Megaupload, Extend Microsoft Access Applications to the Cloud Torrents and Emule Download or anything related.